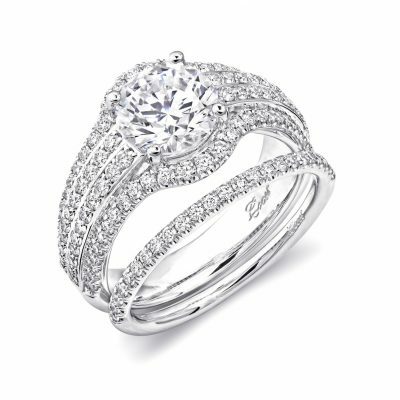 This dazzling engagement ring is decorated with twisting strands of fine pave set diamonds which hug the finger. 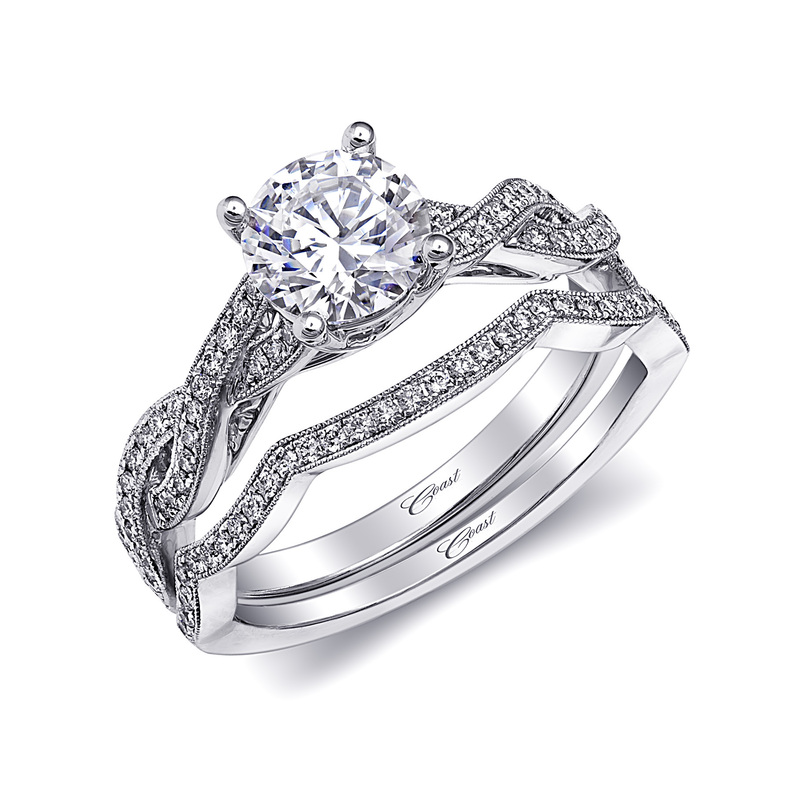 Beautiful milgrain edging adds a vintage touch. 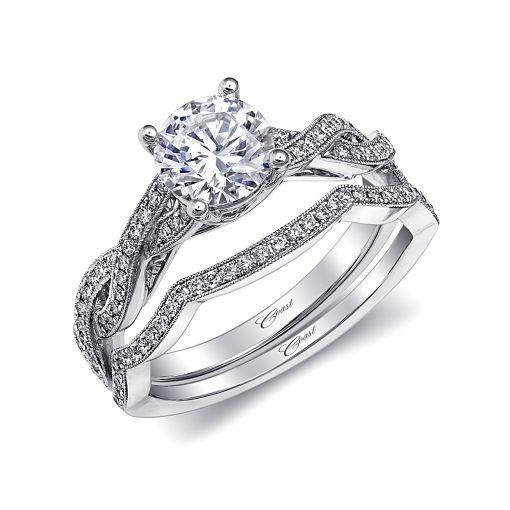 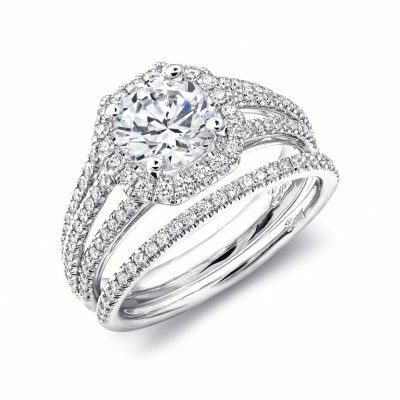 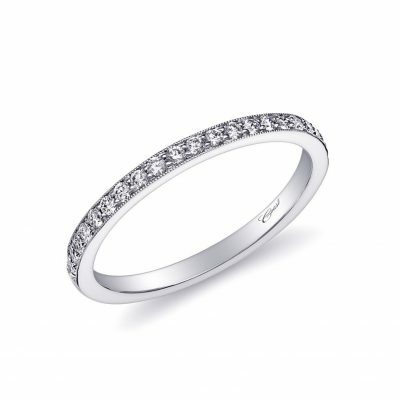 Shown with a 1CT center stone and an elegantly contoured matching band.